Rugby – A Ruffian’s Game? 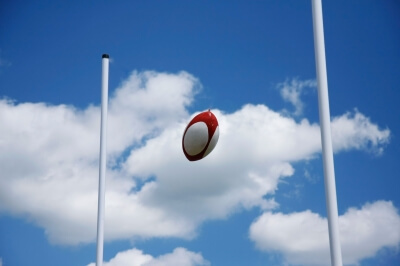 Home: Migration Translators: Rugby – A Ruffian’s Game? Although the “gentleman’s game” of football is arguably the most popular game in the world, its spin-off, the “ruffian’s game” of rugby has plenty of followers in Australia and other countries across the globe. While the first recorded instance of an international rugby match was between England and Scotland (in 1871), nowadays national rugby teams literally travel the world to play each other. The game was already firmly established in Australia by 1864 when the Sydney University Football Club was founded. The influence of rugby was also crucial in the forming of Australian Rules Football, credited to Tom Willis, a former pupil at Rugby School. Australian football is played by two teams of 18 players and is similar to rugby in that handling the ball is permitted, although throwing it is not. It is arguably more tolerant of physical contact than modern football, although dangerous tackling is forbidden. It also eschews the controversial offside rule of modern mainstream football. Australian Rules Football was formalized in Melbourne in 1859 and remains popular today. Indeed it has now spread internationally. Over 50 other countries now boast Australian Rules teams or leagues. For those interested on learning the sport in Australia (or visiting the country for any other reason) an experienced NAATI translator is sure to help.